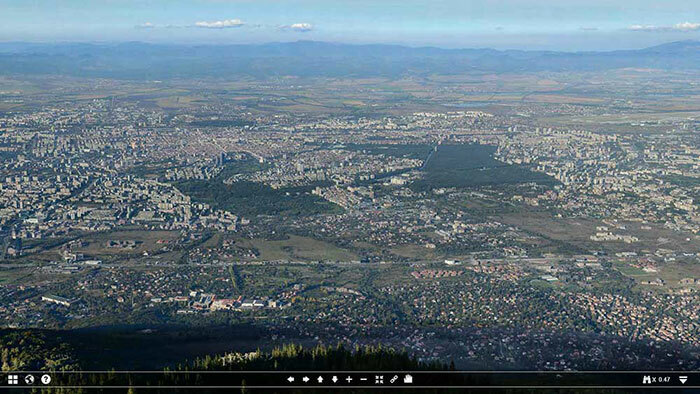 32 gigapixels from Sofia, Bulgaria!!! 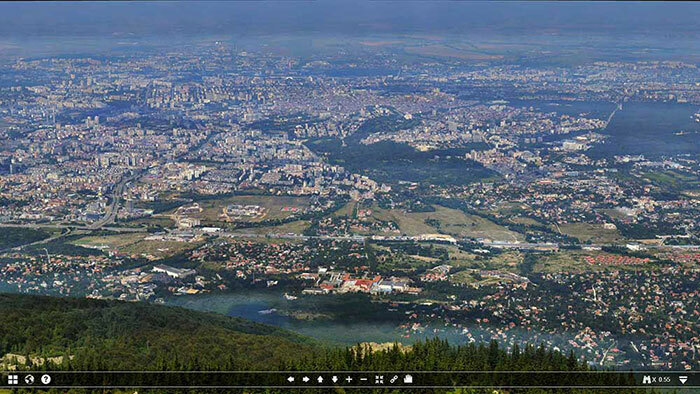 Largest 32 gigapixel picture of Balkans is already a fact. For first time in world, two individual gigapixel panoramas taken from same place but at different times are synchronized and amalgamated into a single panoramic image. Giga Sofia is now available for mobile devices. Giga Sofia is still highest captured gigapixel panorama in the world – 1300 meters of height difference (Mount Kamen del elevation - 1828 m., Sofia average elevation - 590 m).